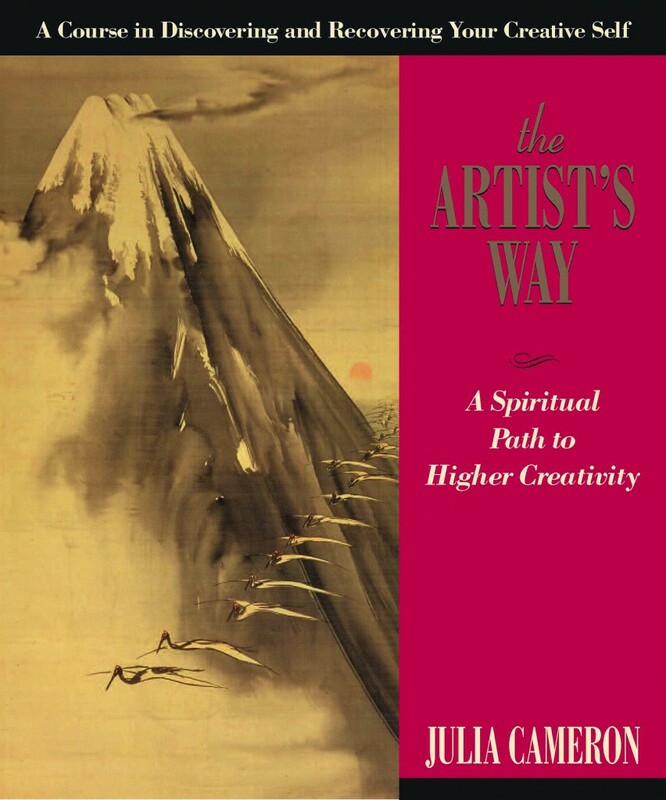 Julia Cameron is the creator of The Artist’s Way, a book which has inspired tens of thousands of artists to creatively unblock since its publication almost 25 years ago. Living in Santa Fe, New Mexico in an adobe house half-way up a mountain, surrounded by Piñon and Juniper trees, at 70 years of age, she continues to write and teach and inspire. She tells us of her early years, her marriage to Martin Scorsese with whom she had a daughter (Domenica Cameron Scorsese, who is about to release her first feature film as a director). She also talks about recovering from an alcohol problem and being guided on a spiritual path. I caught up with her while she was in New York on her way to teach a three day workshop in Massachusetts. You have a terrific life story – tell us about how you came to decide that you were an artist? It was just a calling. I had an impulse to write. I went to Georgetown University. They had a newspaper where they didn’t allow women to write. They wanted us to bake cookies! I didn’t like that and I wrote a manifesto calling for equality. This was back in 1966 and it was a very turbulent time in America between the sexes. I was responsible for starting a women’s group on campus and I started drawing cartoons and writing these feisty, fiery pieces and out of that came the impulse to keep writing. I had a wonderful professor named Roland Flint who didn’t have prejudice against women and I began writing poetry for him. The poems started getting published and that reinforced my calling. Do you still feel strongly about feminism? I think The Artist’s Way has been a great teacher for me. That men suffer equally was not something I was brought up to believe. But when I started teaching creative unblocking, I found that men had as many difficulties as women. It did a lot to level the playing field. I would say that my habit of writing manifestoes is what lead me to writing The Artist’s Way. It was intended as a manifesto in favour of all artists, male or female. You ended up married to Martin Scorsese and hanging out with George Lucas and Steven Spielberg before you’d all hit the big time. When I met Martin, I had been asked to write about him. Martin was directing Taxi Driver and he gave me the script to read and I thought it needed some tweaking and so I went ahead and tweaked. He shot my changes and they came out wonderfully and that was the beginning of my involvement with movies. I would say that I was very lucky to know the circle that I knew and I was very much in love with Martin and I subsequently fell in love with his work. This might seem old-fashioned, but when I married Martin, I felt it was my duty to be a helpmate. In this case, being a helpmate involved creativity. You say that artists are inclined to help each other naturally rather than compete. I’ll give you a good example of this. Originally Schindler’s List was a Martin Scorsese script. Martin worked to shape the script and get the balance correct. Then he gave the script to Steven Spielberg. Not many people know that Martin was involved with that script. It was an act of great generosity and faith that he gave it to Steven and never said a word of this publicly. How do you feel that this kind of attitude of service is linked to creativity? When we ask to be of service, we are given freedom. We find ourselves being more generous, and out of generosity comes more creativity. So it’s sort of a circle. I find when I teach, which I do often, that I ask God to give me candour, humour, service and wisdom. Then I am often surprised by what comes out. It is although the Great Creator has put words in my mouth. In January of 1978 you stopped drinking. How did this lead you to discovering The Artist’s Way? I drank from the age of 19 until 29. When I was drinking, I worked very hard for my writing to be clever. I wasn’t trying to be of service to anyone except my brilliant career. Then in 1978, I faced the fact that I had an alcohol problem and I needed a way to write sober without scotch as a lubricant or a reward. So I had two friends who said to me “try to let the universe write through you” and I thought, “well, what if it doesn’t want to?” I put a little note in my writing area that said, “Okay God – you take care of the quality and I’ll take care of the quantity”. Then I began writing again, trying to let a higher force work through me and when I did, my writing took off. I began to have the experience of a higher power as a real force and so I wrote and started to sell movies and began to flourish. Then I had a movie that I wrote, that went from being described as brilliant until suddenly I couldn’t get anyone on the phone. I was stymied and I was frustrated and I prayed for guidance walking in Greenwich Village in New York. I heard the word ‘teach’. I thought, ‘I don’t want to teach, I want to make art’. So I called up a girlfriend I had at the time and told her what happened. She said she’d call me right back. Fifteen minutes later, she called me back and said ‘congratulations, you are now on the faculty of the New York Feminist Arts Institute – your first class meets Thursday! You reference Dylan Thomas’s beautiful line that ascribes divinity to “the force that through the green fuse drives the flower” How do you think that force manifests in your life? I recently found myself guided to write a book of prayers and I was worried as I felt that they were too short. I thought, surely they should be longer and more complicated. I finally called my publisher and told him that, behind my own back, I have written a book of prayers. He wanted to hear them, but I assured him that he wouldn’t like them. I read him some of the prayers and he said ‘they’re perfect short, Julia, this is the age of Twitter. I wrote another collection that isn’t published in Ireland called ‘Prayers to the Great Creator’. It has four separate books in it and I read the last one, which is called Answered Prayers nightly. When I read it, I think ‘who wrote that?’ People ask me was The Artist’s Way channelled? I don’t use that expression, but I do feel that I was guided in writing it and I feel that I am guided still. I think that the Dylan Thomas quotation, still to me seems like an accurate description of the Higher Power. That it is a tremendous creative energy that is eager to be expressed and that as we cooperate with it, by writing our morning pages, going for walks, doing our artist’s dates, we sort of make ourselves open to guidance. I am sometimes afraid that is sounds a little too woowoo. Then I say, ‘try writing morning pages and just experiment, and as they do they find synchronous doors opening. I have often heard of the morning pages being described as ‘a portal to faith’. Do you have any connection to Ireland and what advice would you bestow on our readers in Ireland looking to live the creative life? I do have an Irish connection. My mother’s maiden name was Shea. It was shortened from O’Shea. I grew up celebrating St. Patrick’s Day. My daughter even spent her junior year in Trinity. But, in answer to your question, I would tell them to do their morning pages and follow where they lead. 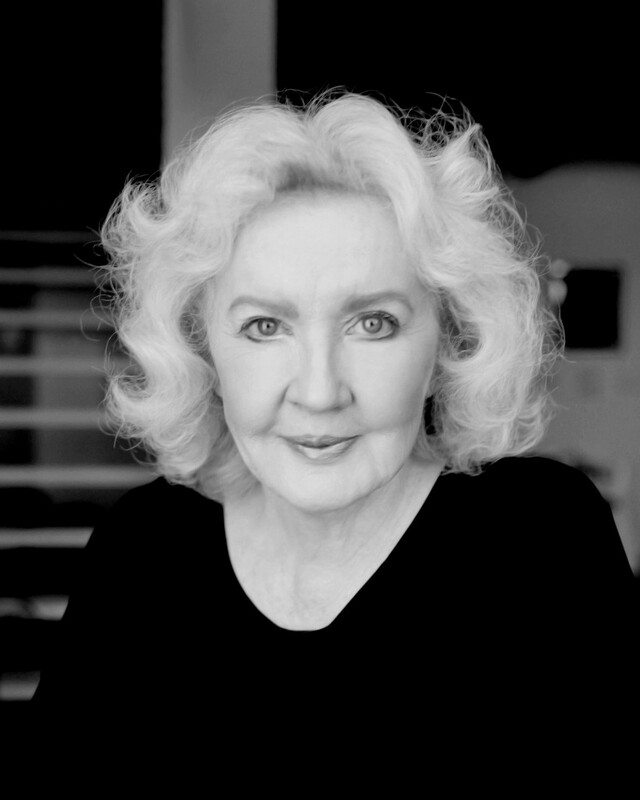 Julia Cameron continues to write, teach and inspire. She was keen to talk about her daughter’s new movie ‘Almost Paris’ and to praise other artists who she met along the way including Daniel Region and her long-time collaborator, Emma Lively. It is this generosity of spirit and joy in the success of others which makes her such a wonderful ambassador for the concepts of kindness and service. It was a privilege to have an opportunity to speak with her. About five years ago, The Artist’s Way intervened in my life. Julia Cameron’s words spoke straight to me. I felt such a personal connection with her message. I haven’t looked back. For this blocked writer, The Artists’s Way was the magic spell in Fantasia that made the mops and buckets dance. Shortly after, I began writing and teaching writing professionally. Recently, I began teaching The Artist’s Way. It is so fulfilling to pass on the tools that I learned by taking the course and watching people unblock and see the creative force come into people’s lives, as it has in my own. “I have learned, as a rule of thumb, never to ask whether you can do something. Say, instead, that you are doing it. Then fasten your seat belt. The most remarkable things follow”. No truer words were ever spoken. If you are interested in taking the journey with me, get in touch. Our current class is full, but I’ll be running a new class again in September. Wishing you colour and magic and a creative summer.